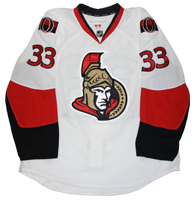 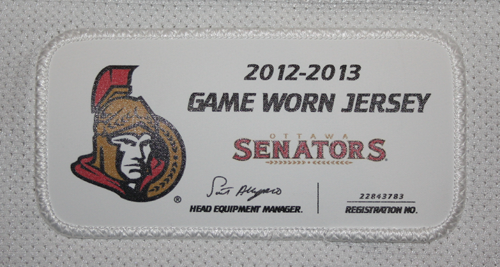 This jersey was worn by Jakob Silfverberg of the Ottawa Senators during round 1 of the 2012-13 playoffs. 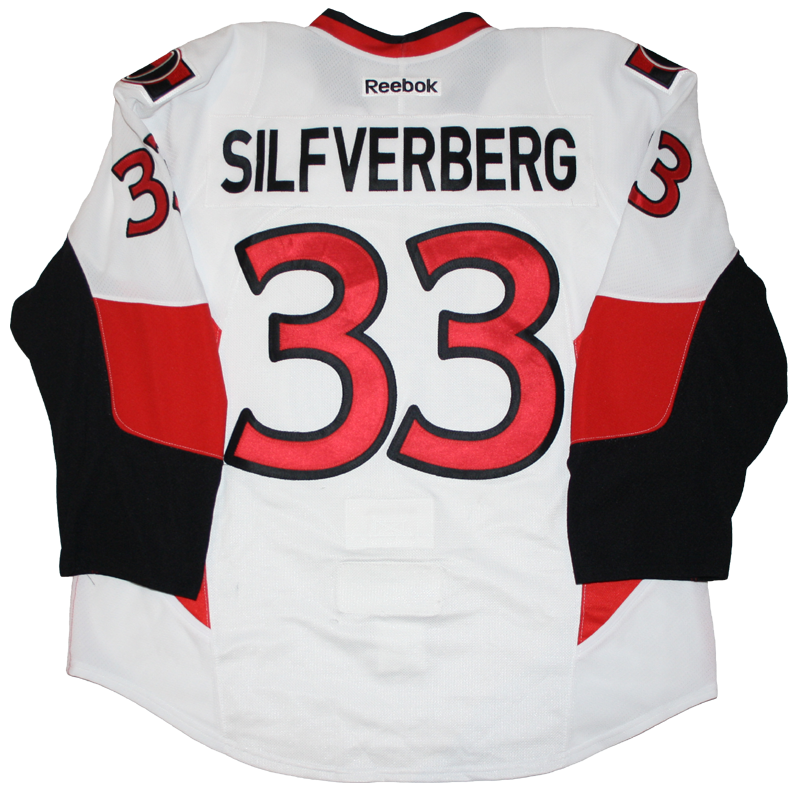 Silfverberg scored a goal and added and assist in the 3 games that this jersey was worn. 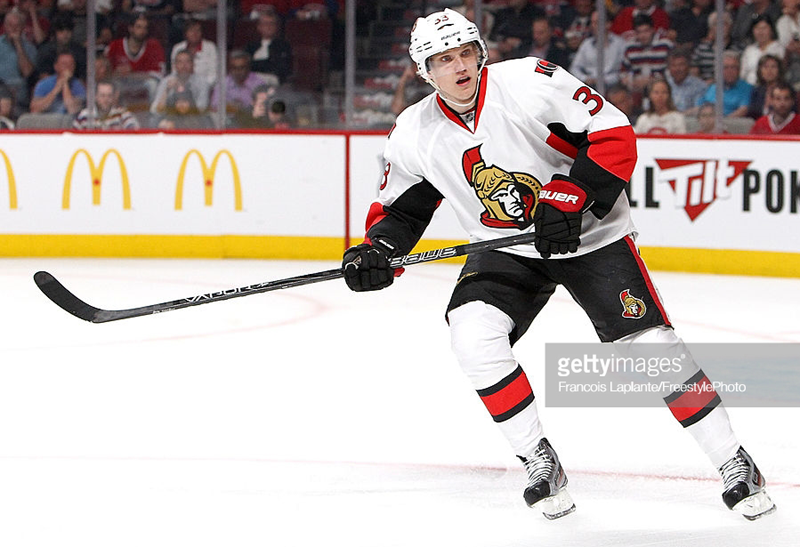 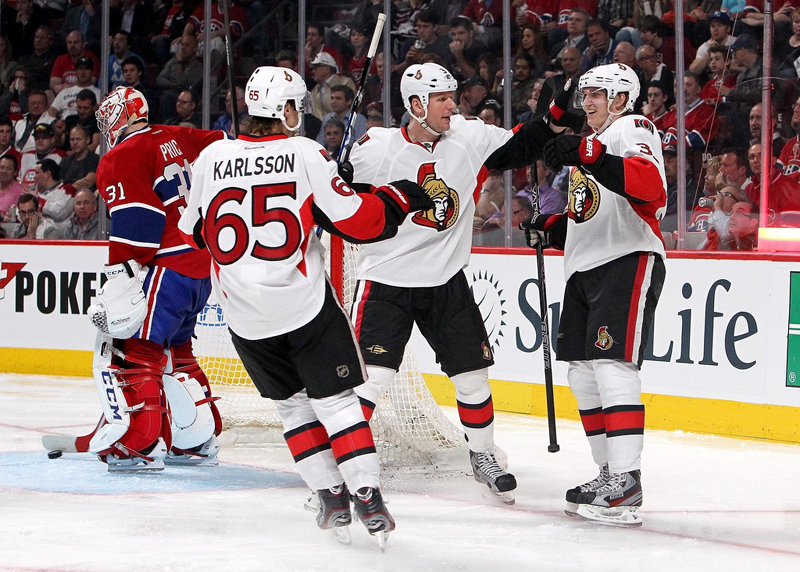 The Senators would defeat the Montreal Canadiens in the first round of the playoffs 4 games to 1.